First, a fact. Obamacare's legislative text reads that tax subsidies administered by the IRS to help Americans pay for health insurance they are federally mandated to purchase reads that those tax subsidies will only apply to people who purchase coverage from insurance exchanges "established by the State." An exchange "established by the State" refers to state-run health insurance exchanges, established in ACA section 1311, as opposed to federally-run exchanges, established in ACA section 1321. The legislative language is pretty clear. What ACA proponents want to say is that this just amounts to a "drafting error." Congress, of course, intended for the subsidies to apply to the exchanges run by the federal government; they just made a mistake. It seems odd that we'd be able to divine the "intent" of the general will of 535 people, but some have now fallen back to asking if there was even a single legislator who thought that tax subsidies wouldn't apply to federal exchanges. This is a good question, because it's unlikely that any legislator thought that would have been a good idea. But this gets to the heart of the problem with ACA: many legislators didn't know what they were crafting and voting on. In the era of ACA's crafting, Republicans repeatedly brought up the point that legislators couldn't read the bill, because the legislative text hadn't been written. The Senate Finance Committee voted on what's called "conceptual langauge," but did anticipate that some states would not set up their own exchanges. Democrats also insisted that the "conceptual language" was enough to actually understand and vote on the law. 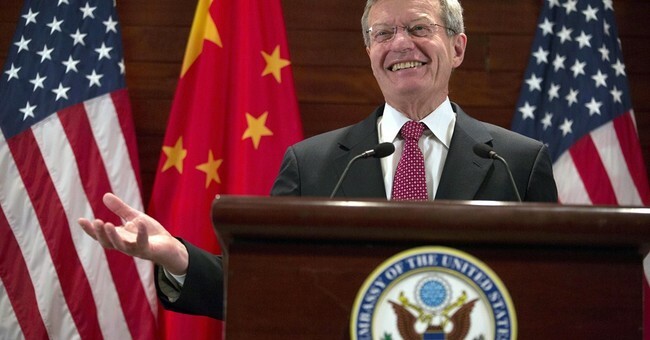 Max Baucus (D-Montana), chair of the Senate Finance Committee through which the health bill flowed, insisted that reading the law wasn't necessary. So that's what happened: in between the "conceptual language" and the actual legislative text, some experts who were writing the law thought it was a good idea to try to coerce states into creating their own exchanges by withholding tax subsidies from the federal exchanges. The actual legislators who voted on the legislation didn't know how the law would work, but they trusted the experts they hired. One of the "experts" that helped write the law was Jonathan Gruber, an MIT health expert who also helped write Massachusetts' similar law. Gruber, in 2012, said that it was actually important that subsidies didn't apply to federally-run exchanges - and that it would be an incentive for states to set them up. The New York Times reported that he went to Capitol Hill to "help Congressional staff members draft specifics of the legislation." "I don't expect to actually read the legislative language, because reading the legislative language is among the more confusing things I've ever read in my life." So, the Senate Finance Committee voted on "conceptual language" that established subsidies for exchanges without mentioning who those subsidies would apply to. They then hired experts, as Baucus said, who did intend for subsidies not to apply to federal exchanges, and those experts plainly wrote the law in the way that it wouldn't apply to federal exchanges. Democratic leadership then refused to post the legislative text for people to read in an adequate time period before passing the law, and as a result, Congress voted on legislation that was written by people who, yes, intended for tax subsidies only to apply to state-established exchanges.